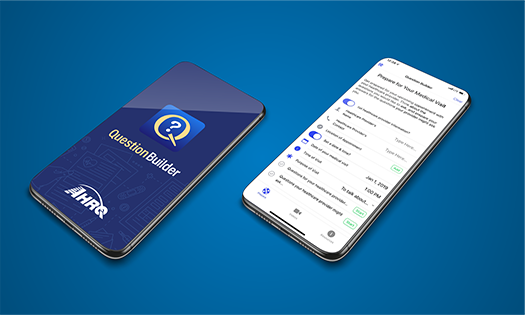 As easy as 1-2-3, learn about AHRQ’s Question Builder App to prepare for medical appointments and maximize visit time. Patients and providers share how asking questions can reduce risks and improve care. 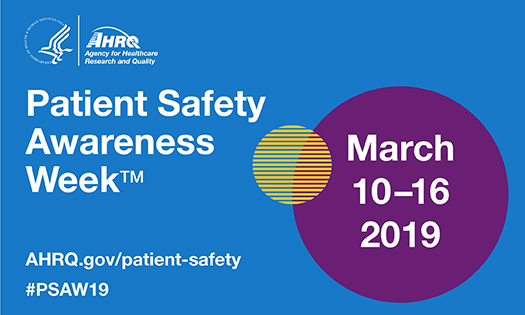 AHRQ is the lead Federal agency for patient safety research. Our work helps providers make care safer for patients. AHRQ funds work to help frontline providers prevent HAIs by improving how care is delivered to patients. Research-based tools to get your team on board and help them understand and use core concepts of patient safety. AHRQ has developed tools that can help organizations build the capacity for change to make health care safer. By understanding patient safety concepts and how team and individual behaviors and attitudes influence safety culture, teams build the foundations for a future of safer care. AHRQ has developed a wealth of materials focused on a wide range of patient safety risks in specific healthcare settings: acute, long-term, ambulatory, and more. Quality improvement measurement tools and information, including AHRQ Quality Indicators Hospital Toolkit, ambulatory clinical performance measures, and TalkingQuality. Collections of professional and academic publications, reports, and National Action Plans. AHRQ offers free tools to help prioritize concerns and maximize interactions between providers, patients, and families. Funding opportunities for patient safety & quality research. Find us on Twitter, LinkedIn, and YouTube! The CUSP toolkit includes training tools to make care safer. Learn about the breadth of AHRQ's Patient Safety and Quality offerings.